Transitions from pediatric to adult health care for youth are increasing in importance for two main reasons. First, many children are surviving to adulthood with chronic disorders that had previously limited life-span to the pediatric ages. 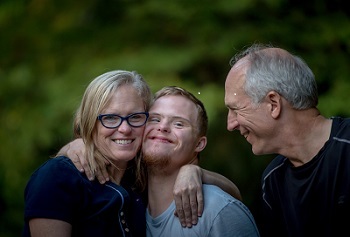 Secondly, the population of individuals with intellectual disabilities (ID) [formerly mental retardation (MR)] has been moved from primarily institutional-residential settings to community-residential settings. Health care provision and expertise for this population that was previously housed at institutional-residential centers is now expected to be provided in community-based primary care offices. Systems support, provider knowledge and skills in the management of health and behavioral issues for individuals affected by chronic illness and developmental disabilities, and patient/family/caregiver knowledge, management skills and support all are in need of marked improvement in order to meet the needs of this growing population. As a primary health care provider you can help youth with special health care needs and their families through a successful transition to adult health care and other services. Discuss with youth and families the best time to transition to an adult health care provider. Offer recommendations of adult-care physicians and specialists who understand special health care needs. Health Care Provider pages – Customizable tools based on your practice setting- 1) for youth transitioning to adult care, 2) youth transitioning to an adult approach to health care without changing providers and 3) Integrating young adults into adult health care. Health Care Transition Resources – resources in English and Spanish to help families with a smooth transition. Created by the American Academy of Pediatrics and Got Transition, a cooperative agreement between the Maternal and Child Health Bureau and the National Alliance to Advance Adolescent Health, this tip sheet provides an overview of new and innovative payment models that support the services involved in transition from pediatric to adult care. Included are sample CPT codes, descriptions, and payment for same. This web site has information and worksheets for healthcare providers, adults on the autism spectrum and their supporters. It focuses on primary healthcare, or healthcare with a regular doctor. The resources on this site are meant to improve the healthcare of autistic adults. They were made by the Academic-Autistic Spectrum Partnership in Research and Education (AASPIRE) through a series of research studies funded by the National Institute of Mental Health. March 2013: Volume I – Care transitions for young adults with special health care needs (YASHCN) and the significance of aligning pediatric care with adult medicine. An organization of volunteer adolescent/emerging adult patients with chronic conditions, parents and health providers/researchers with the purpose to advance an evidence-based research agenda on health care transition and self-management. (From the American Academy of Pediatrics, American Academy of Family Physicians, American College of Physicians, and the Transitions Clinical Report Authoring Group)This clinical report represents expert opinion and consensus on the medical home practice-based implementation of transition for all youth beginning in early adolescence. Sponsored by the National Center on Secondary Education and Transition at the University of Minnesota. Free, interactive, and dynamic Web site that young adults and their teachers, parents, and mentors can use to plan for life after high school.